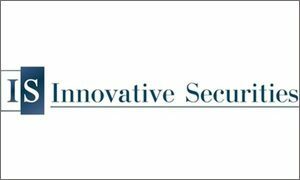 BUDAPEST, Hungary, Dec. 15, 2017 /PRNewswire/ — The year 2017 may very well be a historical one to remember due to outstanding returns and euphory on the markets, believes Innovative Securities. The company’s analysis about 2017 reminds that although there were several uncertainties at the beginning of the year, none of them hurt the optimistic atmosphere of the markets. We are in a historic bull market which now lasts for more than 8 years. At the beginning of the year (and all the way through it), many believed that markets are overvalued, and interest rates are too low, reminds Innovative Securities. The company also adds: there were several other fears among investors. In 2017, there were elections in Germany and France, the two biggest economies of the EU, where radical parties showed a newly found strength. The ongoing Brexit negotiations and Donald Trump’s presidency also added to the fears of what 2017 might bring, they write. All this did not matter, concludes Innovative Securities. Analysts believed that the European market may outperform itself, but after all these months, the US market still holds itself strong: measuring in local currency, American stock indices beat their European counterparts. The main reason behind this might be the strengthening of the Euro. But still, says Innovative Securities, the already expensive instruments (like stocks) became even more expensive. According to some valuation model of S&P 500, for example, were not higher since 1929 and 1999-2000. This year brought an important change, though. Monetary policies started to change slowly around the world this year, writes Innovative Securities. Generally, the FED dictates rate changes among Western central banks, but in 2017, it was a bit different. This year, the FED hiked rates three times, but only Canada and the UK followed, while their other Western counterparts did not. Even if it is still obvious that low interest rates may have several risks and could create investment bubbles, adds the company. Some countries are still holding to their loose monetary policies, even though global growth is at a 5-year high and conjunction is at a 10-year high. 2017 was also an important year for cryptocurrencies, believes Innovative Securities, adding: more and more authorities are trying to regulate this volatile market. Bitcoin, for example, is started to become the part of mainstream and well-regulated markets. Although bull market is now starting its 9th year and stock prices are still shining brightly, low interest rates cannot be held for long, summarizes Innovative Securities. The company also adds: every instrument is expensive because of low interest rates, so when rates rise, bubbles will deflate. This change may not be fast, says the company, but it may have a global influence.